We're doing a glass tile wrap-around backsplash installation, which will leave exposed glass tile edges above the sides of the counter. How can we conceal the grout edge of these exposed tiles? About the only way that you can disguise the grout & thinset so they’re not visible is to use a piece of trim. 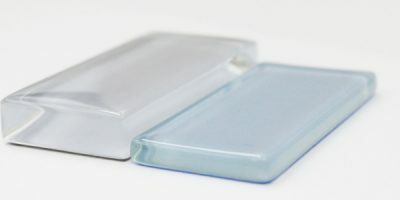 Some manufacturers sell glass trim pieces along with their tiles. 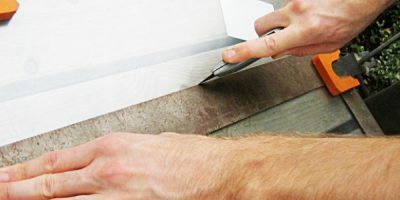 Plastic and metal trim can be found in most tile stores and big box stores, or you shop directly at the Schluter store. 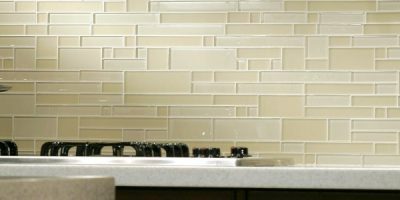 We have just tiled a kitchen wall in glass tiles - a DIY project. Can you recommend a sealant to protect the tiles with? 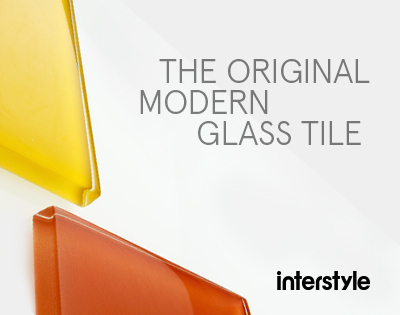 You don’t need a sealer to conver the tiles, as glass tiles are impervious. 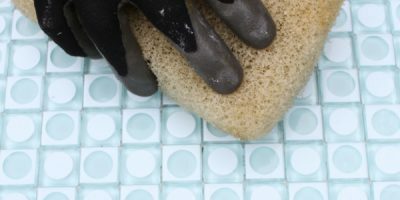 But for the grout lines: once they have been damp cured (28 days), pick a grout sealer recommended by your local tile distributor, or go to the online Stonetech store. Note: remember to damp cure the grout first, or the grout lines may, in time, dry out and degrade. 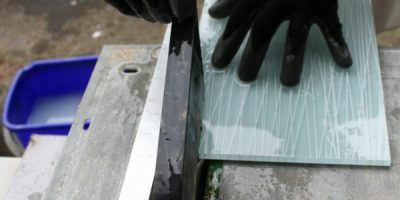 Can I use mastic to install glass tiles? We do not recommend mastic adhesives. 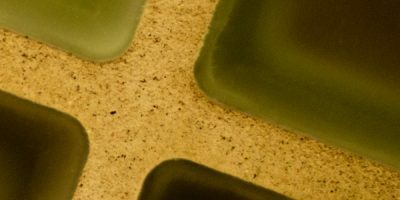 When mastic is applied between glass tiles and a substrate, the area around the edge of the glass tends to dry and seal in the (moist) mastic that lies directly beneath the tile. 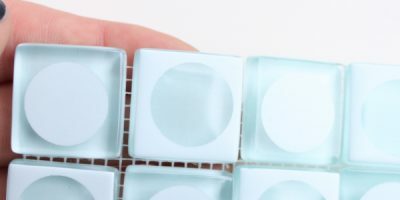 Glass tiles are not porous, so this moisture remains trapped; the mastic can remain soft and moist almost indefinitely. Behind clear tiles, this phenomenon results in more than a bonding issue – mold can grow and the tiles can visibly discolor. We recommend only white, fast-setting, polymer-modified thinset. Thinset is made with sand, cement and additives that react chemically. 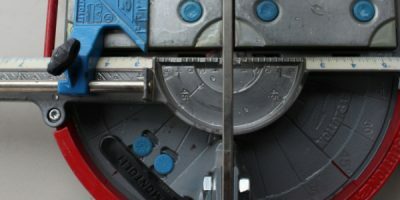 Note: Beware of a product called “Pre-mixed Thinset”. This is usually not a thinset material, and is simply a re-branded mastic.